STEP, the teen-focused foster care arm of Lutheran Family Services Rocky Mountains, trains foster families to help transition teens in foster care into adulthood. 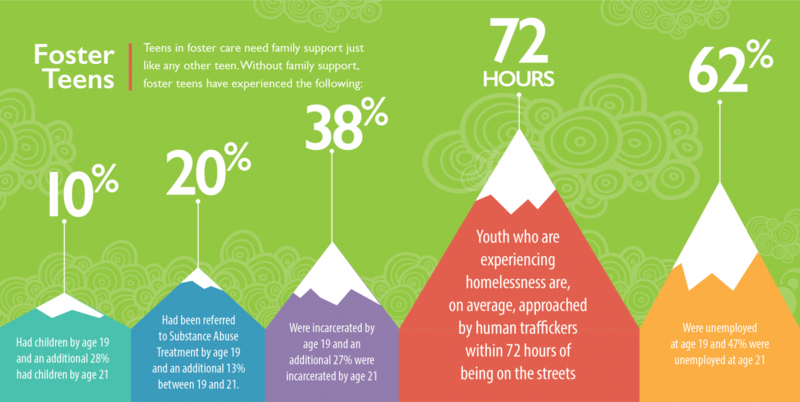 Teens in foster care are among the most vulnerable youth in our community. For this reason, our STEP program assists teens in foster care and their foster families with their transition to independence. As a partner and resource for teens in the child welfare system, STEP teaches successful habits by placing teens in supportive foster homes and gradually increasing their responsibilities. This includes completing chores, earning an allowance and potentially getting a job, all in the hopes of helping move the teens toward supported independence. Sign up to learn more about STEP and how we can work together to help Colorado’s teens succeed. Take the ultimate Colorado challenge – foster a teen today!